Talking about love; it is one of the most incredible feelings in the world, and it can be expressed in so many different ways. When expressing love for your partner, there are many classic ways such as chocolate, romantic roses, or love cards. However, it will always be best if that gift is also enhanced with a personal and unique element from the sender. "Having a significant other is just like having a VIP person in your heart. And that VIP person deserves to feel the best sensations of love on Valentine's Day," said Chris R.F., Head of Quality Administration. 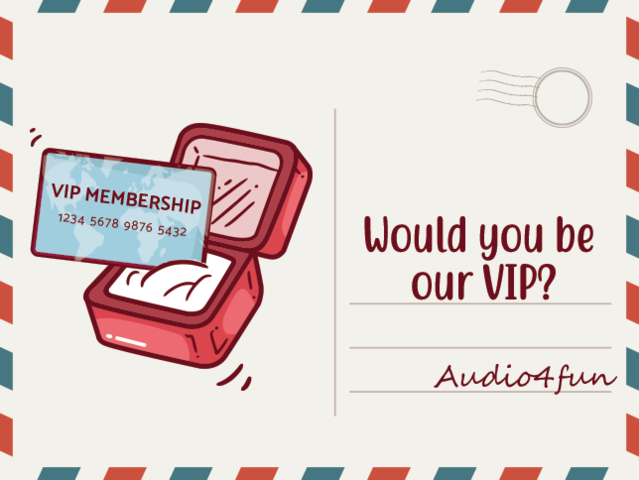 "This Valentine season, for the first time during its history, Audio4fun is giving out a huge opportunity for everyone to become a VIP member with ease. By owning a prestigious VIP Membership at Audio4fun, users will be able to make their gifts a lot more amazing and special with all of the necessary audio and video tools," Chris added. The VIP Membership is just like the key that opens the door to the creativity inside each of us. You will be able to write your own Valentine's Day story and design your own love present. It can be a romantic yet fun Skype call with voice changer, a box of chocolate with a special speech recorded, or an edited, personal video shown during a sweet, intimate dinner, just to name a few ideas. No matter what the idea is, VIP Membership can provide you will all tools needed for making your amazing gifts. * What does a VIP Membership provide? Longest Full-support period with the highest priority. Receive the biggest discount only for VIP members when extending support time.